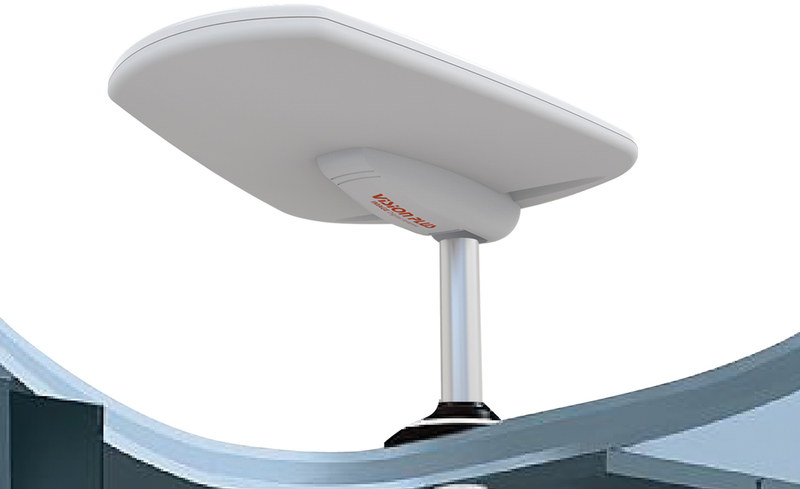 Caravans, boats and motor homes use Omni-directional antennas to pick up TV signals. This is because their mobility dictates that the TV signal broadcasted needs to be received from any direction! The electronics in these products amplifies the signal and then distributes it within the caravan, boat or motor home. These antennas are continually exposed to the elements, so strength, longevity and robustness are crucial attributes for product success in the market. 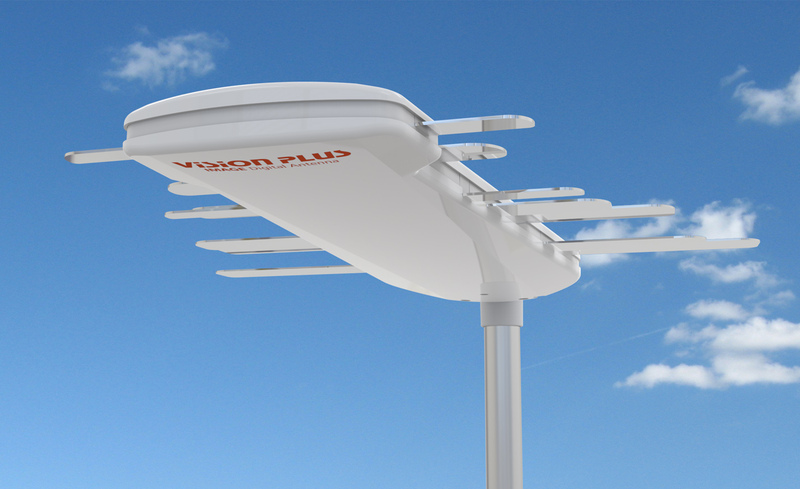 We were asked to redesign 4 new products in the Visionplus antenna range, and deliver an up-to-date coherent design language, resulting in solutions that would be cheaper to manufacture, faster to assemble and capable of withstanding the rigours of the environmental conditions in which they operate. For this project our team went through a stringent process to select the best materials to meet the enviromental and performance requirements. 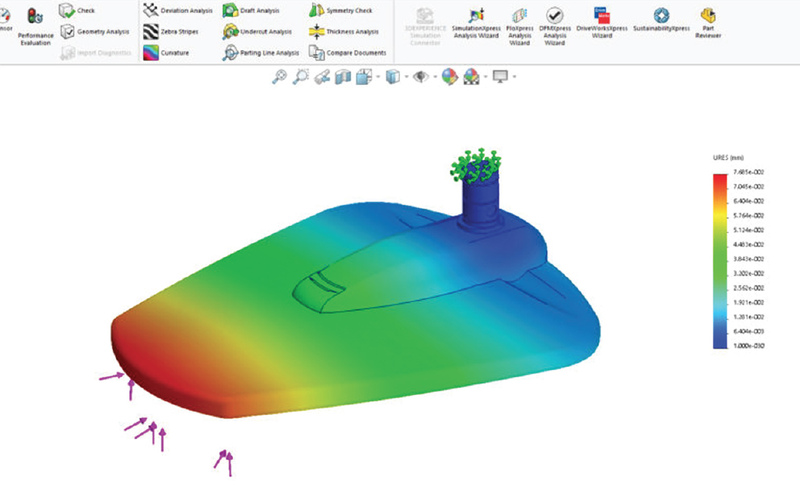 We carried out extensive FEA (Finite Element Analysis) to test the durability of the products, optimising wall sections for strength, reducing weight and improving aerodynamics. All crucial elements when some motorhomes and caravans are able to travel legally at speeds of up to 60mph. By using engineering polymers and injection mould tooling we were able to redesign the products as ultra thin light weight mouldings, delivering more than a 30% material saving over the existing range – sometimes less is often more. In addition streamlining the assembly process through the design and manufacture of bespoke fixtures allowed us to use new fastening techniques saving time and money in manufacturing, and significantly improving productivity and quality standards for a class leading range of antennas.